This year I'm making most of my gifts by hand so Valentine's Day was a perfect way to get started. As I've already shared, I made Valentine themed gift tags and I dug those out of my stationery box. I also made my own Valentines to send in the mail. I made English toffee and once it had set up I broke it into pieces. Then I made my famous sugar cookies, iced them with a little vanilla glaze and decorated with homemade red sugar sprinkles. Colored sugar sprinkles are really easy to make. You just mix a little food coloring with granulated sugar, allow it to dry and then mix it all up again. Easy and thrifty. I put the toffee into Valentine treat bags I had bought at the dollar store last year. I did the same with the cookies. Then I tied them off with the gift tags I'd made. The baker's twine on the tags was perfect too. Plenty of delicious treats to share with my loved ones. I also made a plate of cookies to share with my co-workers (yes, even the big meanie, she needs kindness more than anything). 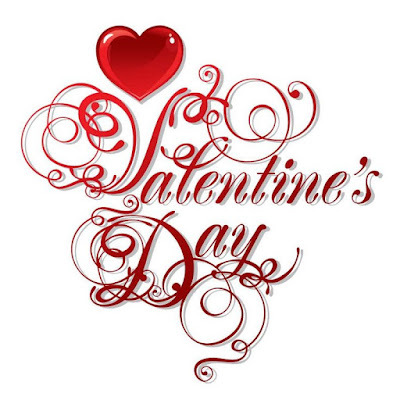 How did you share the love this Valentine's Day? Oh my goodness everything looks so cute! I love everything here. And I didn't even know it was possible to make your own colored sugar sprinkles, I thought the granules would just dissolve! I hope you and your family have a wonderful Valentines Day! Your treats look wonderful. I wish I had wandered by Boise to try the toffee and cookies! Happy Valentine's Day... it looks like everyone in your life was treated well! So pretty and looks so yummy.. Happy Valentines day to you and your girls. Everything looks so good and pretty! Your loved ones and co-workers (even the big meanie) are so blessed to have you in their lives. Yes, that would be what your grandma would say about the meanie. Everything is soooo pretty, and it looks delicious.